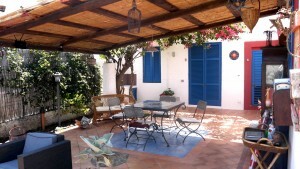 In 2005, the “Villino”, summer residence of the Miraglia family since 1981, was converted to a b&b. The two Miraglia children, Valentina and Andrea, were the strongest supporters of the new destination of their childhood home. A few changes here and there to make the indoors and outdoors enjoyable and the house is now ready to welcome whoever wants to share with them the magic of the island. Fig and a hedge of jasmines and bougainvilleas. library ranging from fiction to natural history. Many more are the common areas: the cover equipped terrace for breakfast in the morning, but enjoyable at all hours of the day; the garden with chaise longue and umbrellas, showers and comfortable seats placed in the shade of a Linden. Here silence reigns, here it’s sound, it’s music can be felt. 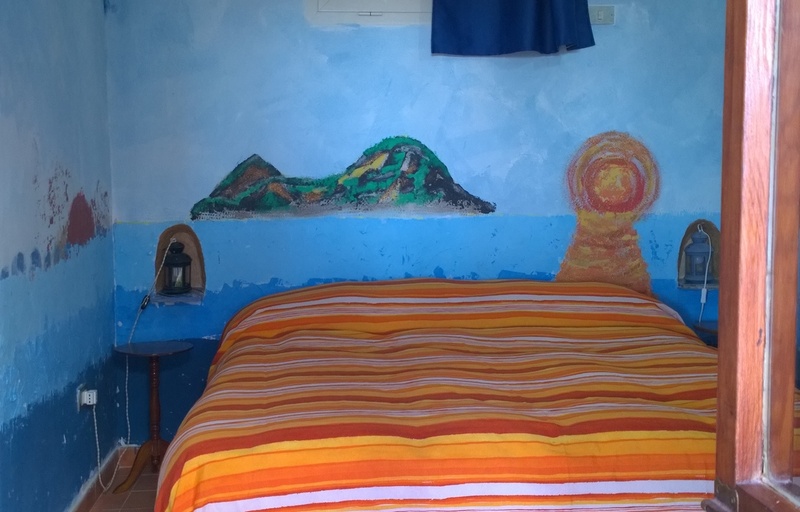 The uniqueness of each room are the drawings on the walls designed and built by Luciano, are furnished with care and attention to detail. 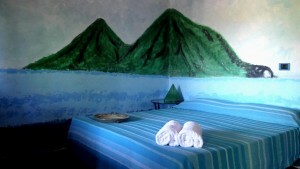 The rooms are 4, all have private bathroom with hairdryer, complete courtesy accessories line, refrigerator, air conditioner, free internet and TV. A welcome note to the guests, as well as giving information on schedules asks the staff to report any food allergies or intolerances. 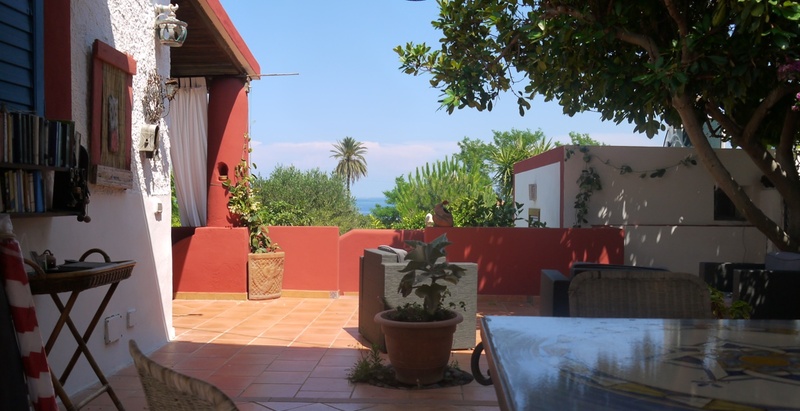 The large terrace of Villino Miraglia, with its stunning views of the sea of Salina welcomes guests for breakfast. Breakfast is buffet: hot and fragrant croissants, donuts, fruit cakes, puddings, homemade jams, toasted bread, sliced seasonal fruits and yogurt; cherry tomatoes with basil and oregano on wheat freselle, whole Neapolitan specialities. Orange trees, banana trees, and fig trees provide real organic products. The newfound serenityFrom the small window a century-old Palm tree next to the small Church seems to wish the start of a good day. 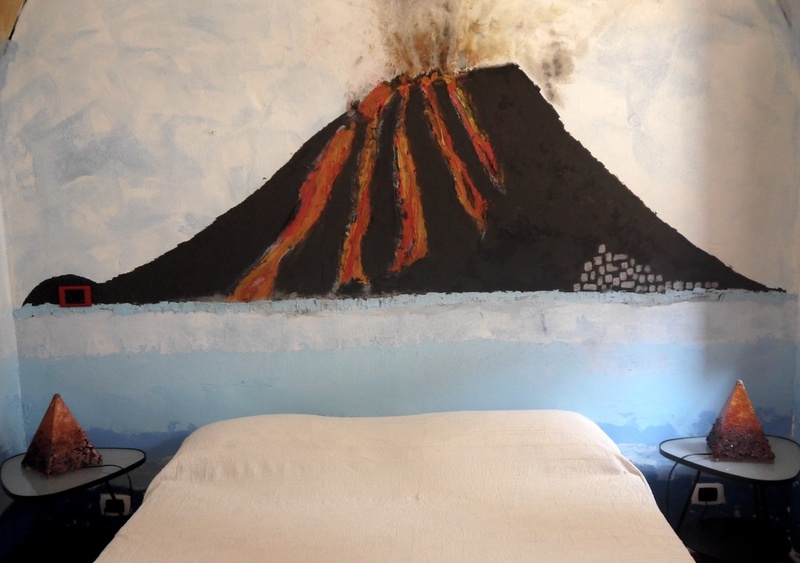 Sleep under the VulcanoA small room that Luciano decorated with a wall paint of "Iddu", Stromboli's vulcano. Salina and Aeolian Islands can be reached by boat from Sicily, Campania and Calabria. If you arrive by plane, closest airports are in Naples and Catania. 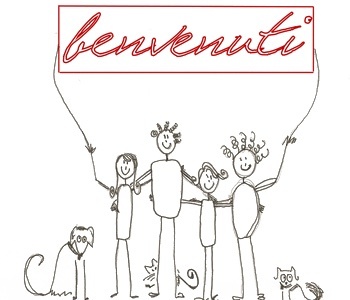 Pets are welcome at Villino Miraglia! 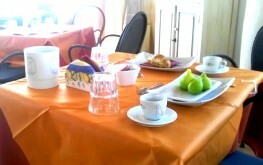 Breakfast on the terrace is included in the price. 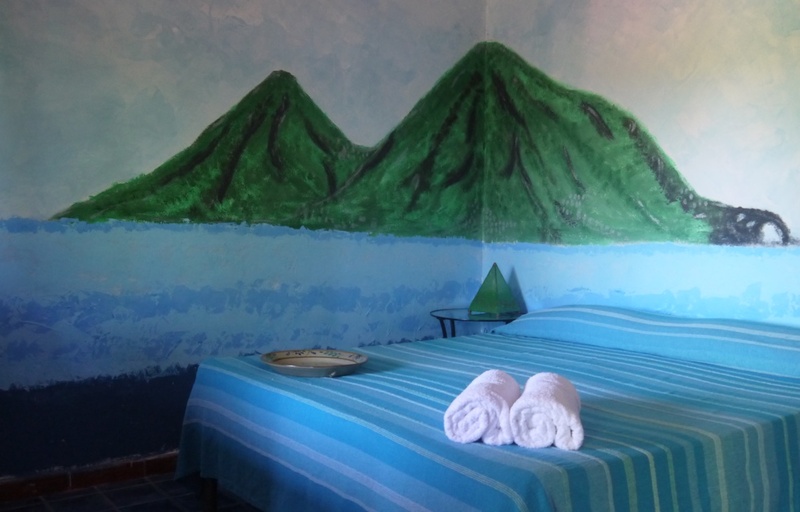 And for the wonderful view of Lipari there is no extra charge! You will find WIFI connection at Villino Miraglia.